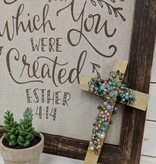 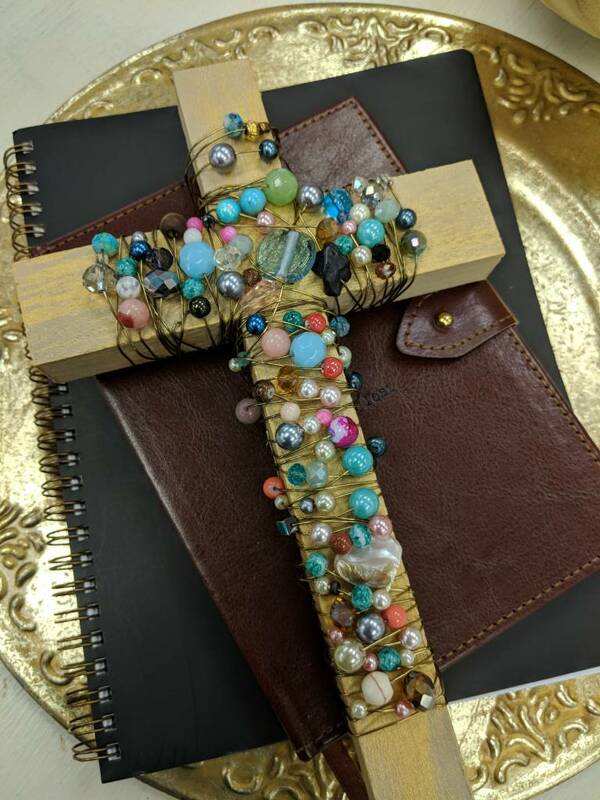 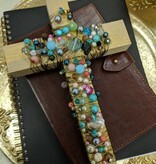 Create a beautifully individual work of art in this very hands on class where you will first paint a 10” wooden cross in the color of your choice. 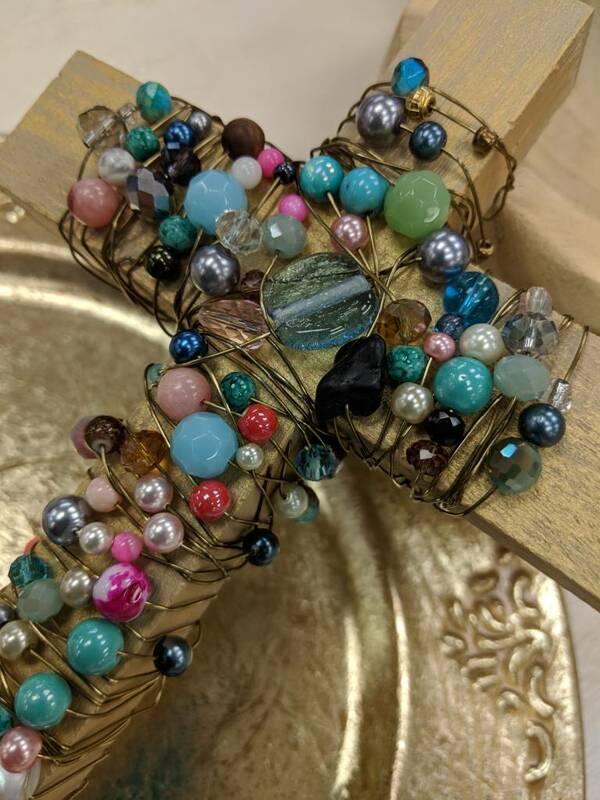 You will then get to wrap the cross in beautiful wire, adding beads of your choice as you go. 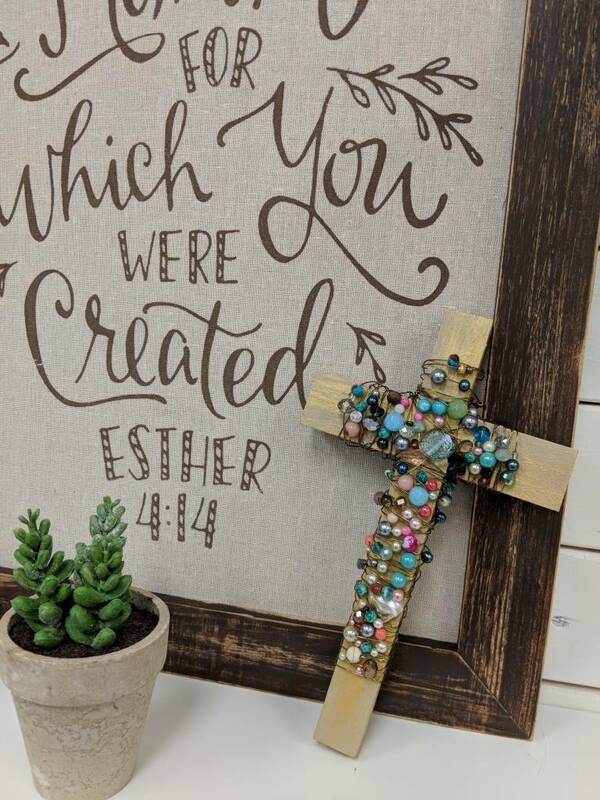 This unique and lovely piece will be a lifetime treasure you can hang or lay to suit your decor and be a precious reminder for years to come. 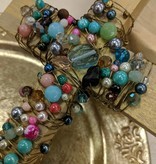 Bring a friend and enjoy this very soothing creative process together!